Leanne is a South African Physiotherapist who graduated from the University of Cape Town in 2004. Recently Leanne completed her Masters with Merit in Sports Medicine and Exercise Health from UCL. She was awarded a distinction for her research into anterior cruciate ligament (ACL) rehabilitation. Her other qualifications include Sports Massage, Dry needling, Acupuncture, Spinal Manipulations, Pilates and sports trauma management. Her approach is very personable and hands on. 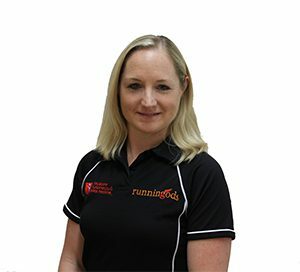 Leanne’s special interests include Lower Limb Rehabilitation and Adolescent sports and orthopaedic injury rehabilitation. Leanne is a keen cyclist, Mountain biker, swimmer and used to complete as a 100m sprinter.